Viswanathan, Madhu, Anne McKinney, Erin Ha, Ron Duncan, Philip Fairweather, Huimin Ru, Maria Jones, Sudeep Gowrishankar, & Students of Entrepreneurs Without Borders. (2015). 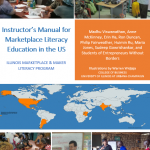 Instructor’s Manual for Marketplace Literacy Education in the US. Champaign, IL: Subsistence Marketplaces Initiative. Viswanathan, Madhu, Anne McKinney, Erin Ha, Ron Duncan, Philip Fairweather, Huimin Ru, Maria Jones, Sudeep Gowrishankar, Jeannine Koninckx Horta, Francisco Seufferheld, & Students of Entrepreneurs Without Borders. (2016). 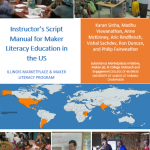 Manual para la Educación en Alfabetización en Economía de Mercado para los Estados Unidos. Champaign, IL: Subsistence Marketplaces Initiative. (Original work published 2015). Viswanathan, Madhu, Anne McKinney, Erin Ha, Ron Duncan, Philip Fairweather, Huimin Ru, Maria Jones, Sudeep Gowrishankar, & Students of Entrepreneurs Without Borders. (2016). 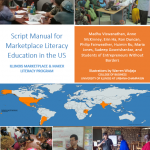 Script Manual for Marketplace Literacy Education in the US. Champaign, IL: Subsistence Marketplaces Initiative. 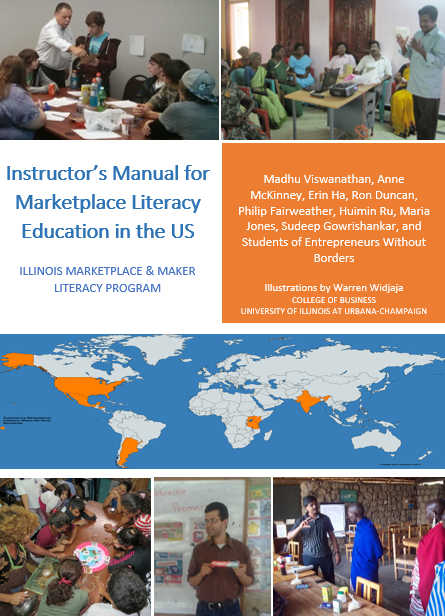 Viswanathan, Madhu, Anne McKinney, Erin Ha, Ron Duncan, Philip Fairweather, Huimin Ru, Maria Jones, Sudeep Gowrishankar, Jeannine Koninckx Horta, Francisco Seufferheld, & Students of Entrepreneurs Without Borders. (2016). Manual de Escritura para la Educación en Alfabetización en los Estados Unidos. Champaign, IL: Subsistence Marketplaces Initiative. Sinha, Karan, Madhu Viswanathan, Anne McKinney, Aric Rindfleisch, Vishal Sachdev, Ron Duncan, & Philip Fairweather. (2016). 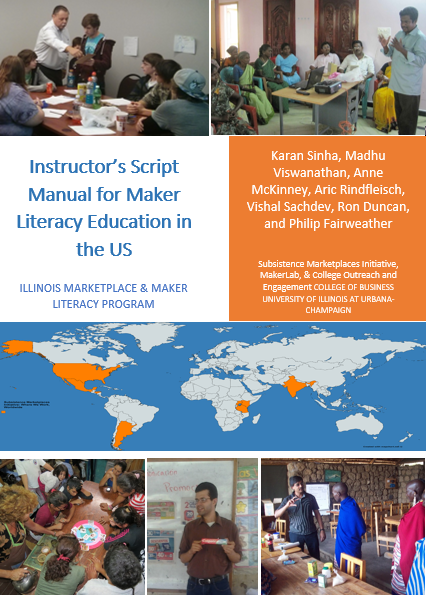 Maker Literacy Script Manual. Champaign, IL: Subsistence Marketplaces Initiative. Sinha, Karan, Madhu Viswanathan, Anne McKinney, Aric Rindfleisch, Vishal Sachdev, Ron Duncan, Philip Fairweather, Jeannine Koninckx Horta, & Francisco Seufferheld. (2016). 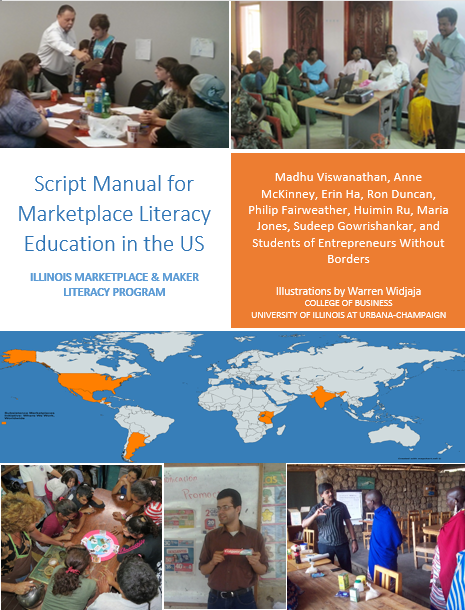 Manual Educativo para la impresión y Formación 3-D. Champaign, IL: Subsistence Marketplaces Initiative.